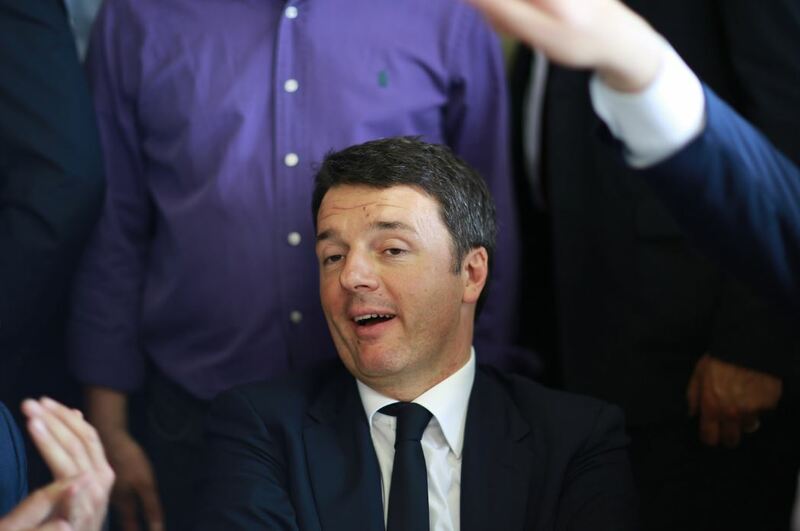 Yes, the defeat of Renzi's constitutional reform was a victory. And no, it won't condemn Italy to right-wing authoritarianism. Yesterday’s papers offered a gloomy take on what was at stake in the Italian consitutional referendum. The Sunday Times headlined that prime minister “Renzi resists the march of the Radical Right”; a piece in the Independent went with “Italy is holding a vote that could destroy Europe” (later edited to “the euro”) whereas another declaring Sunday, December 4 “the most dangerous moment for Europe since Brexit” was illustrated with a photo of Matteo Renzi and the somber caption “everything will change.” The Observer meanwhile treats the referendum as part of its series on the “threat to liberal democracy.” So after the Italian population voted by almost 60 percent to reject Renzi’s constitutional reform, is the country now headed toward the authoritarian abyss? Certainly the attempt to shoehorn the referendum into a wider narrative of European decline and the rise of nationalisms is not only a foreign media projection. During the campaign both Renzi himself and his right-wing opponents sought to promote this same narrative, with the Democratic Party (PD) prime minister portraying himself as the last bulwark against nationalist populism, just as the leaders of the hard-right Northern League sought to spin the vote as a referendum on the euro and migration, regardless of its actual policy substance. Meanwhile the eclectic Five Star Movement (M5S), currently second in national polls, mounted a No campaign light on constitutional detail but heavy on the idea of using the vote as a means of sacking Renzi. Contradicting the new generation of M5S leaders like Luigi di Maio or Rome mayor Virginia Raggi, the party’s founder Beppe Grillo like the Lega Nord drew comparisons with the Trumpist revolt. Despite this framing of the referendum by such figures, doubtless also heavily shaping public responses to the ballot, it is also important to see the referendum as more than a party affair. Overconfident of his own popularity, Renzi announced in advance of the vote that he would resign in case of defeat, and this inevitably polarized the referendum around his own personality and driving all opposition parties into the No camp. This individualized conception of politics was reflected in Renzi’s constitutional reform package itself, which in neutering the Senate and weakening regional government sought to allow a strengthened executive to proceed with Renzi’s self-declared project of “scrapping” the old Italy and remodeling its economy on neoliberalized, “Anglo-Saxon” lines. The central conceit of the claim that only a Yes vote (and thus the junking of the existing constitution) was a vote for stability is the illusion built up in Italian media over many years that Renzi is a kind of savior figure, replacing the dysfunctional center-left with a Third Way party à la Blair and Clinton. In this vision, Renzi’s efforts to confront his party base with pro-business reforms — going beyond even the ambitions of Silvio Berlusconi — are the only route to making Italy a “normal country” and stopping the drift toward national decline. Unlike his New Labour hero, Renzi arrived in power at odds with the political times and also with no money, following the 2008 crisis. Outside the populist M5S and the traditional right, there was also a strong No vote from the scattered fragments of Italy’s once-mighty Italian Communist Party, as well as the social movement left and around a quarter of the PD’s own supporters. These dissidents in Renzi’s party included much of its ex-Communist component, also including those who moved to social democracy in the 1990s such as Renzi’s factional rival (and 1998–2000 prime minister) Massimo d’Alema. Beyond internal personality clashes or specific criticisms of Renzi’s plan, the Left’s historic commitment to the constitution also owes to the manner of this document’s creation, written jointly by the Communist, socialist, Christian-Democrat and liberal partners in Italy’s immediate post–1945 governments. Despite the Left’s exclusion from power during the Cold War period, the document’s rhetorical progressive mores — declaring Italy “a democratic republic founded on labor’” — has long made “the constitution born of the Resistance” a touchstone of parliamentary left and antifascist politics. Since the 2000s the M5S, a party without connection to this tradition, has been the party best able to monopolize the mood of social revolt, not least thanks to the self-destruction of Rifondazione Comunista in the center-left governments of the 2000s. Yet there remains a residual connection between millions of former Communist voters and these historic values. Accusing Renzi of having tried to “scrap” the center-left during his time in office, d’Alema last night hailed the “defeat of the neo-centrist design” to turn the PD into a “party of the nation.” In the logic of Renzi’s proposals, the prime minister had sought to radicalize the 1990s–2000s developments through which ex-Communists, liberals, and Christian Democrats combined in a single party, creating a force explicitly modeled on the US Democrats and indeed carrying forward a conventionally neoliberal policy platform. However, while Renzi has now failed in his project of creating a big-tent centrist movement existing in binary opposition with the hard right, there are as yet few clear indications on the PD’s future direction. Indeed, insofar as this is bound up with the immediate question of maintaining the coalition government, any major change of course seems unlikely. Despite a plunge in the euro overnight and many dire warnings that Renzi’s resignation will imperil a European Central Bank rescue deal for the fragile Monte dei Paschi di Siena (the country’s third largest bank) President Sergio Mattarella will likely try a number of options to stabilize the situation before calling early elections. Certainly Italy leaving the euro or European Union (or even having a vote on it) remains a distant prospect. The most likely scenario in the coming days is the appointment of Finance Minister Pier Carlo Padoan to lead a new government based on the same coalition as the one currently backing Renzi, uniting the PD (of which Padoan is not a member) with small liberal and center-right parties. Other candidates include Senate president Pietro Grasso (PD), former foreign minister Emma Bonino, and Dario Franceschini, former secretary of the PD. Such an administration would likely focus on electoral reform before going to the polls in 2018, possibly even with Renzi again at the head of the PD. If Mattarella does instead call early elections the likely result would be a close contest between the PD and M5S (each today polling around 30 percent) but also major breakthroughs for the Northern League rising to around 12 percent, against 4 percent in 2013. While both parties are calling for early elections (indeed, not since Berlusconi in 2008–2011 has Italy been governed by a prime minister who led his party into a general election), the country can probably expect another round of technical or coalition government. While certainly not a decisive overturn of the neoliberal “restructuring” mantra that dominates both domestic and European commentary on Italy, nor is this a story of the Left mobilizing in a “radical right” or even “populist” campaign. The claims of such parties as the Northern League (still far from winning any kind of mass consensus, least of all at the level of the 60 percent No vote) do not tell us what the content of the reform actually was. Even at the most narrowly party-political level, had Renzi’s reform gone through the result would not have been the defeat of the M5S and the Northern League, but at most the prolonging of the current coalition government until May 2018 rather than spring 2017. Without doubt populist and right-wing parties were better able to mobilize voters than the depleted and scattered forces of the Left, and there is a strong possibility that Renzi’s political demise will help speed them into office, particularly given the M5S’s strength among youth. Yet the future is yet to be defined, and the crisis of the PD presents opportunities not only for the M5S. The social movement mobilization for the No, combined with the split in the PD vote, point to the electorate disenchanted with Renzi and who stood up for democratic process. Equally, the M5S’s terrible record in office in Rome, combined with the rise of the independent left in Naples, also show that these voters are by no means bound to support the M5S if real alternatives exist. The whole left voted No: the battle now is to advance its own distinct project for post-Renzi Italy. Yes, the defeat of Renzi’s constitutional reform was a victory. And no, it won’t condemn Italy to right-wing authoritarianism.